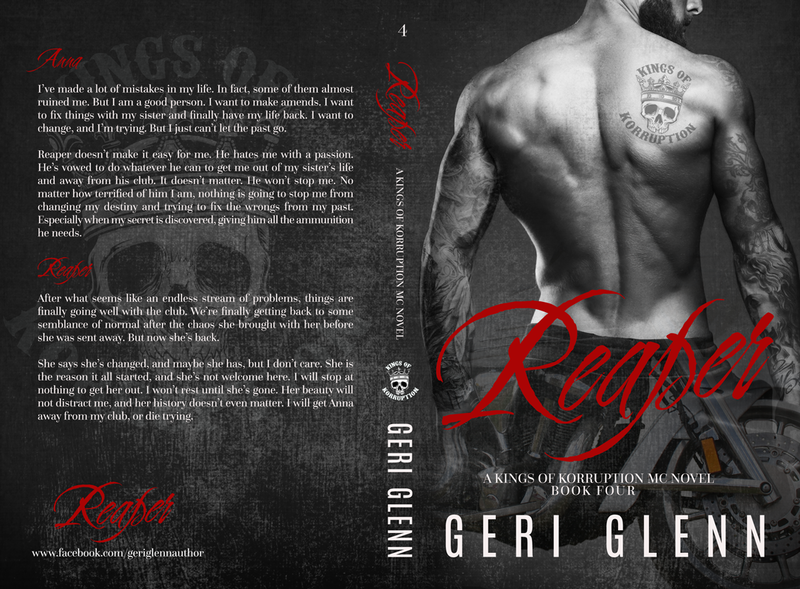 Reaper and Anna, what an amazing story that sucked me in and had me wanting more. Anna’s character was one that you knew going in that you were not going to like her, because of her past discretions. Reaper not being one to trust or give second chances too, wants Anna out and away from his brotherhood. 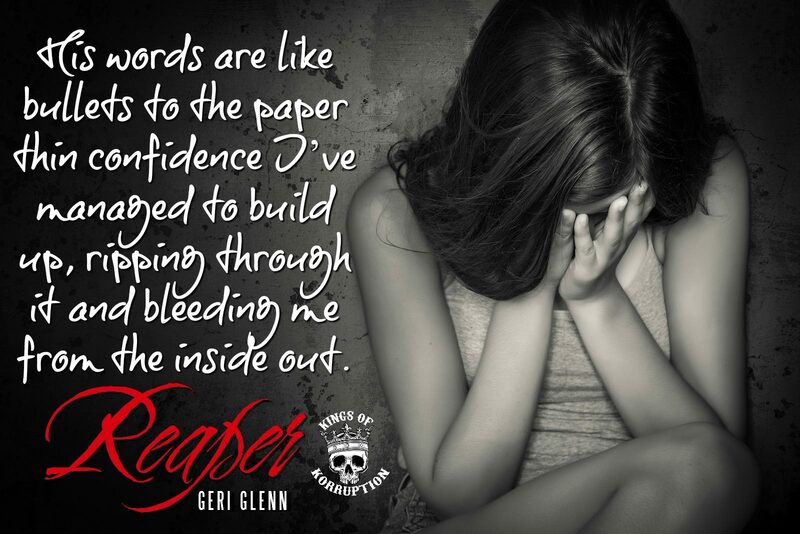 Two people each with issues of their own come together in this story and Geri has written this book so well, that I had many emotions while reading. This is a story you will get the feels with. Just when you think you have laid your past to rest, and it comes back with a vengeance that tries to consume you. 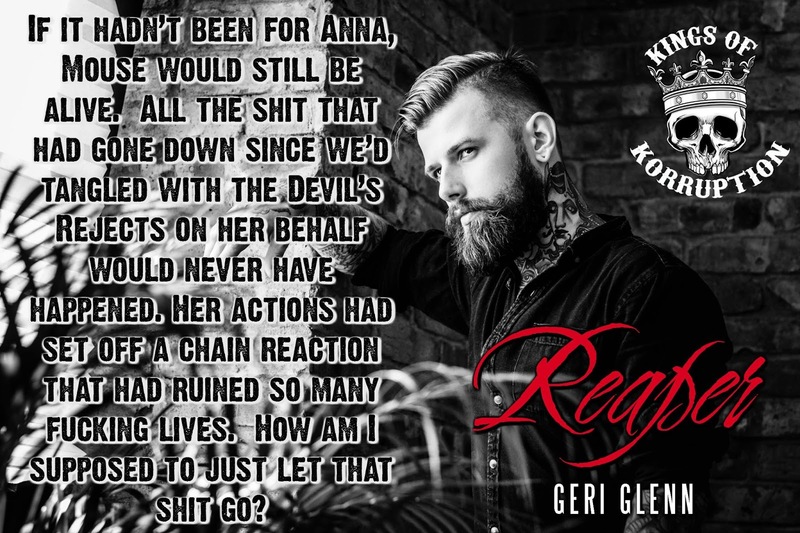 This is what happens with Anna, and the journey to redemption never was easy but, with a man like Reaper who knows, it might just be worth it! 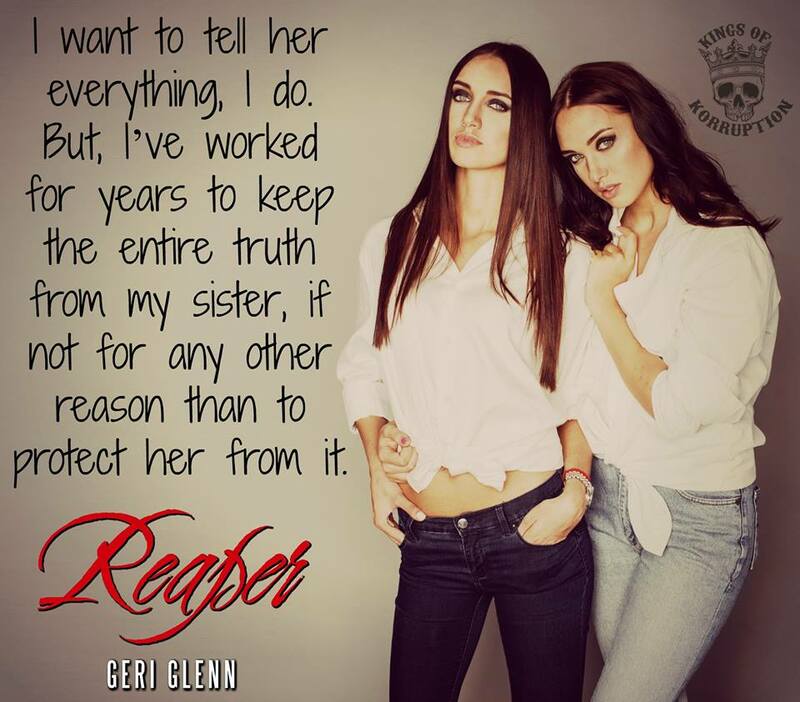 If you haven’t read this series I’m not sure what you’re waiting for! I highly recommend you get started!! ← May We Fill Your Kindle With Books? ?